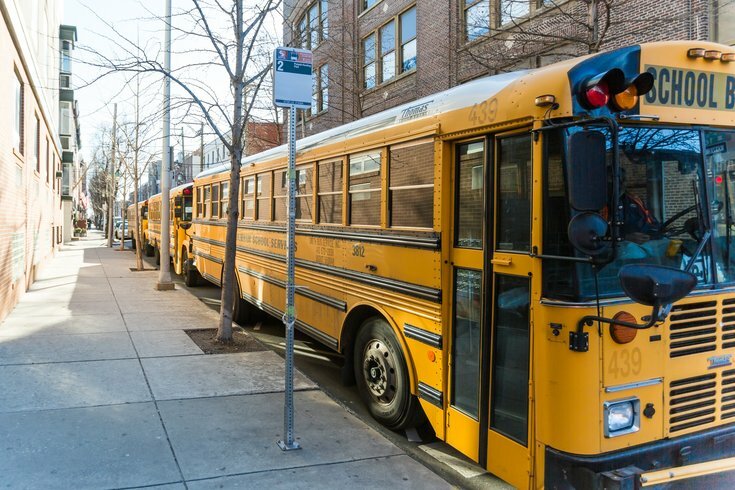 School buses on S. 16th Street in Philadelphia. A deadly collision in New Jersey killed a child and teacher when a dump truck crashed into a school bus carrying students on their way to a field trip. The crash occurred around 10 a.m. on Interstate 80 in Mount Olive Township. Forty-three people aboard the bus were injured and taken to the hospital, New Jersey Gov. Phil Murphy said during a news conference Thursday afternoon. Many of the injured are still in area hospitals for treatment or surgery. The bus from East Brook Middle School was traveling on Interstate 80, west of exit 25, when it collided with the dump truck. Authorities have not yet provided other details about the crash.